LIC india has announced single premium endowment plan, LIC Jeevan Shikhar, which is for limited time only. 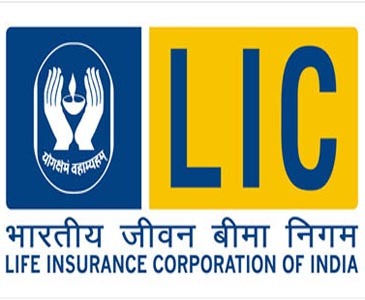 If you want to buy LIC Jeevan Shikhar than you can buy it between 11th January to 31st March,2016. was announced for limited time, this year LIC launched Jeevan Shikhar which also single premium endowment policy. Maximum MSA :- No Limit (but it should be on multiple of Rs.20000/-). Minimum and maximum entry age :- 6 years and 45 years. Death benefit :- If the proposer got unfortunate death during first five years of policy term, Before date of commencement of risk, single premium will be paid to nominee. And after covering commencement risk, basic sum assured (10 times of single premium) will be paid. If death happens in stipulated date of maturity, than proposer’s nominee will receive 10 times of single premium and loyalty additional bonus. Maturity benefit: - In Jeevan shikhar plan, on maturity you will get maturity sum assured (that you choose) and loyalty addition. Loyalty Addition :- Loyalty addition will be paid on death of policy holder, at maturity or even at surrendering policy. (if you surrender after 5 years). Surrender Value :- You can surrender policy anytime soon but you will get 70 % of single premium if you surrender on first year, after first year you will get 90% single premium (minus extra premiums paid and taxes). Loan facility available after 3 years of policy. So How much interest rate will be paid in Jeevan Shikhar? Quite easy to calculate. Though we don’t get figure of Loyalty addition since it will be decided on maturity but looking at past plans of LIC. We assume that LIC will pay 10% of Sum assured as Loyalty. Than for example Mr.x buys Rs.1,00,000/- of LIC Jeevan Shikhar than on first year he has to pay Rs.44,124/- premium. Since it is single premium plan, no need to pay 2nd premium. So, now calculating return, you paid Rs.44,124 on first year and after 15 year (policy term) you will get sum assured of Rs.1,00,000/- plus loyalty addition (which we assuming 10% of sum assured, which is Rs.10,000/-). Means total you get Rs.1,10,000/- (approx) after 15 years for 44,124 of single premium which is just 6.28%. Too Low. Should we buy this policy or not? Only good thing about LIC Jeevan Shikhar is that you will get 10 times of your single premium, also single premium is good thing. Also, you can save tax + get loan after 3 year. But LIC should also paid bonus with maturity benefit. Also, proposer will not get loyalty addition, only premium amount will be paid in case of death before commencement of risk. Also, return of this policy is low as 6-7% which is less than even fixed deposit return. So, if you are buying for expecting good return, avoid this policy and for risk coverage, there are many term plans available in market. To get high return, you should invest in Best Mutual funds where you can get atlest 12-15% return. Even you can do Mutual fund SIP for better financial planning. So, its BIG NO to Jeevan Shikhar. LIC should come up with better return plan than just to fetch tax payer’s money. Last date to apply for LIC Jeevan Shikhar is 31st march, 2016.